Remember last week when I shared a sneak peek from the New York Botanical Garden Media Preview Day of their latest Frida Kahlo Exhibition? If you missed that post, click HERE. What you probably didn't know is that I actually spent most of that weekend there as well, first the for kick off of 'Frida Al Fresco' Evenings where you can stroll the grounds and enjoy the exhibit after hours, and my apologies for covering the weekend out of order, but I was there again on Sunday for a MasterCard Priceless Experience, a cooking demonstration and meet and greet with Chef Aaron Sanchez! 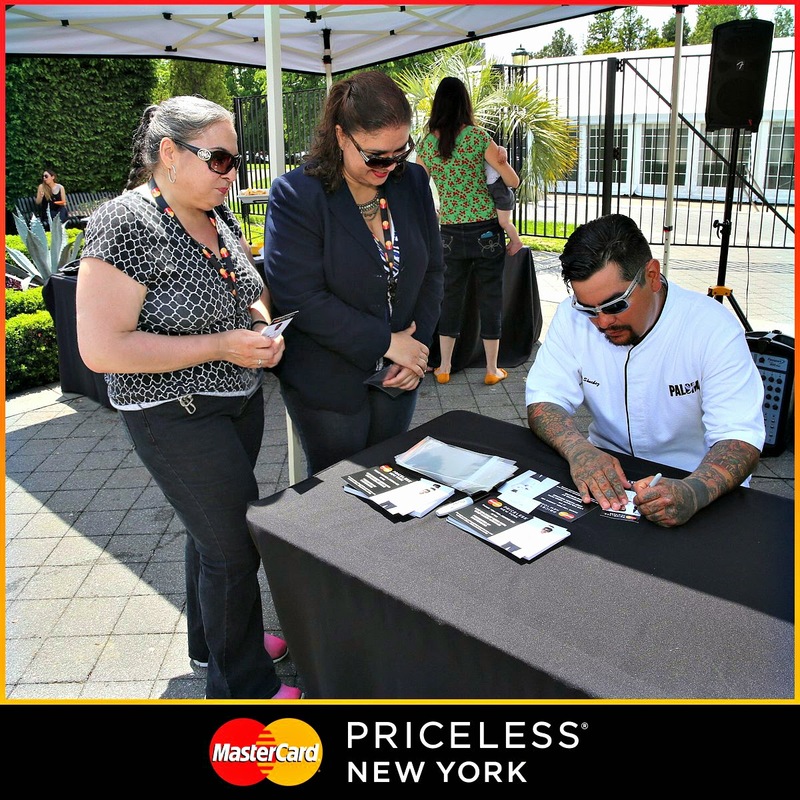 Since this is #TastyTuesday on the interwebs I couldn't help sharing about my MasterCard Priceless Experience today. 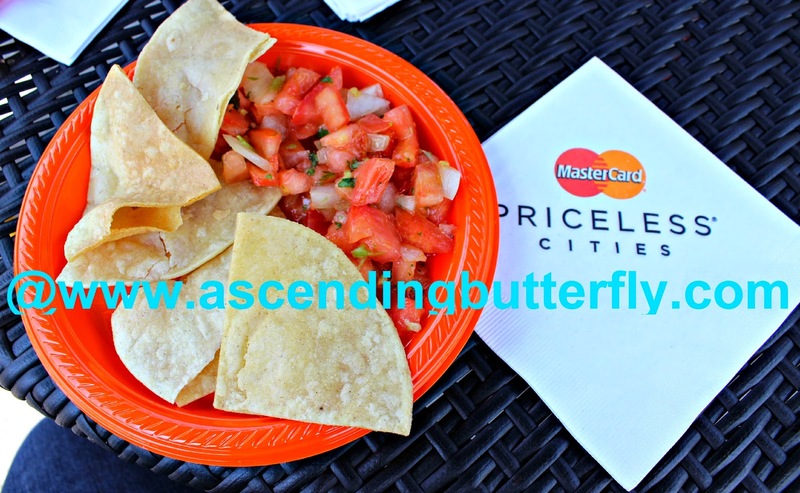 Before you say, but Butterfly 'I am not a Blogger', MasterCard Priceless Cities is NOT just for Media, Bloggers or Digital Influencers, it is for anyone and everyone who is a Mastercard holder (which I actually am, in case anyone was asking! ), the Priceless Cities experiences offer a behind-the-scenes, front of the line, private experience with tickets to the most coveted events, offered exclusively to MasterCard cardholders. 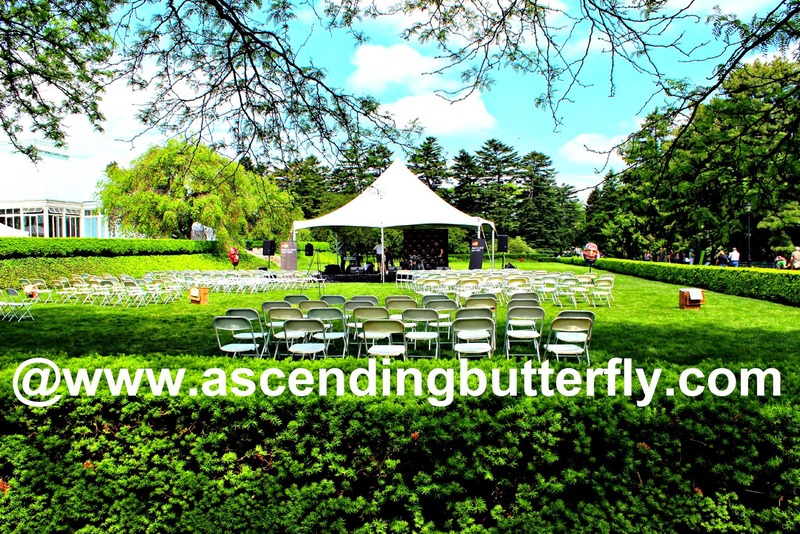 These experiences are definitely located in New York City where I am based, but are also available in many other major markets, you can use the locator here to see if there are experiences in a City near you. 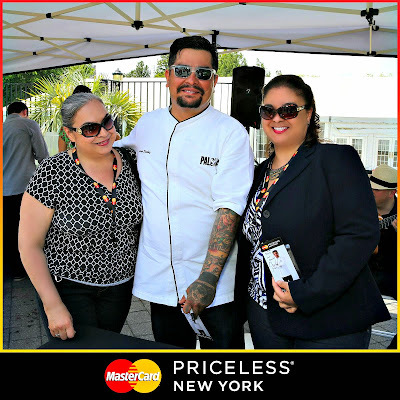 It's no surprise to regular readers that I am a mega foodie, and I was definitely going to jump at the chance to meet Chef Aaron! He is the chef/partner of Paloma in Stamford, CT and the restaurant Johnny Sanchez in New Orleans (another one of my fave cities! 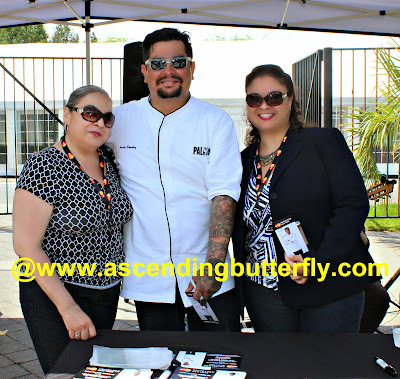 ), he is also the co-star of Food Network's Chopped and the host of Cooking Channel's Taco Trip and the travel-food series MOTOCHEFS. OK so maybe I wanted to scope out a plan to the best seat, but it's only because I want to get you guys the best recap coverage of course! Chef Aaron's recipe called for Jicama, don't you just love action shots? No Chef Aaron is not hiding from the camera, it was hot outside! The cooking demo was followed by a Meet and Greet with the Chef! One of the super cute swag stations, I spot the Chef to the right! 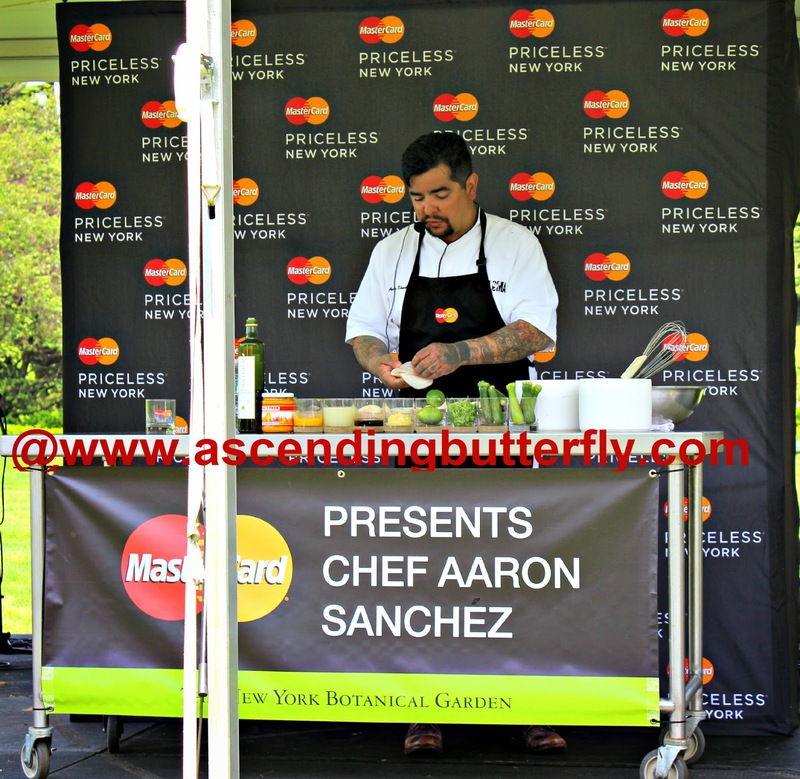 Above: The MasterCard team was actually interviewing Chef Aaron when I nabbed this shot. Above: While we were waiting for our Meet & Greet there of course were some eats! Above: Thankfully a very sweet PR rep also took a shot with my camera (I knew there would be pro shots but I wanted to make sure I got an extra shot just in case!) I had to hold up my signed pass! 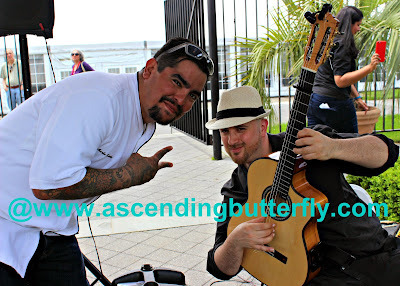 Above: With great food and great music, I just had to nab a shot of Chef Aaron and the event's guitarist! This was actually my very first MasterCard Priceless NY experience, and it definitely won't be my last, they provided a great experience at such a wonderful venue, and if this is a taste of what their VIP experiences are like I definitely look forward to the next one! 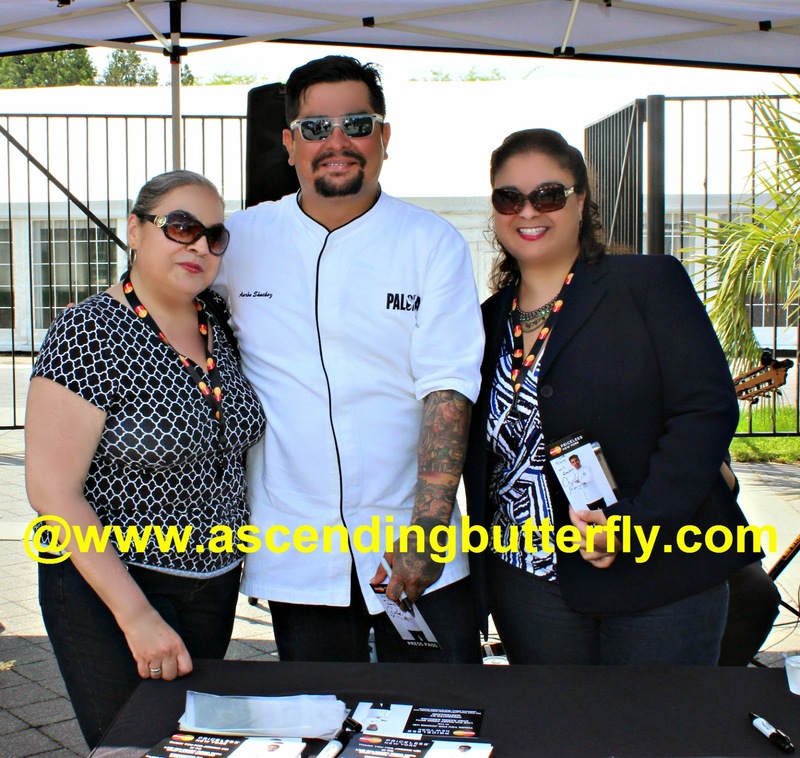 Chef Aaron Sanchez has a new cookbook out called "Simple Food, Big Flavor - Unforgettable Mexican-Inspired Recipes from My Kitchen to Yours' (by Chef Aaron with JJ Goode) so be sure to pick it up! If you press on the image of the cookbook below it will take you straight to Amazon so you can order it online. You're Welcome! What is your favorite Mexican Recipe? 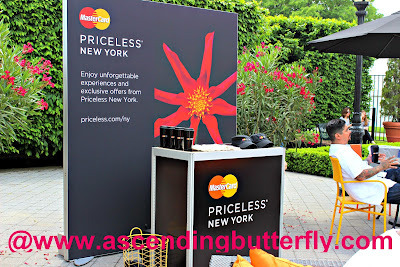 Have you already experienced a MasterCard Priceless Cities Experience, if so which one? FTC Disclosure: This is NOT a sponsored post, no monetary compensation has been received, and all opinions are 100% my own! I attended the Chef Aaron Sanchez MasterCard Priceless Experience as Digital Press. There is an affiliate link in this post. I am disclosing this in accordance with the Federal Trade Commission 16 CFR, Part 255 - Guides Concerning the use of endorsements and testimonials in advertising, you may check our Giveaway and Disclosure Page for additional information regarding Ascending Butterfly Disclosure. OMG, I love him. How cool that you got to see him do his thing live. What an amazing opportunity! That looks so awesome! I love watching chefs cook, and this sounds like it was super fun. 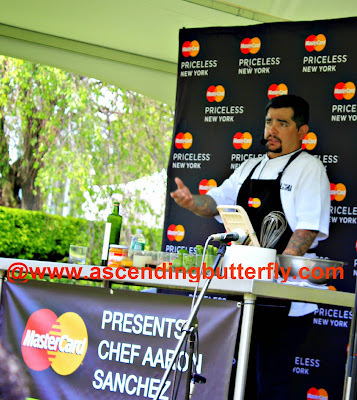 How nice to see Chef Aaron Sanchez in action! We love using our Master Card. it's our only credit card we use. You look like you had a good time, y la comida- oh my. Food, music, y Frida- soundslike the perfect weekend to BB! Oh, so many awesome Mexican food recipes! 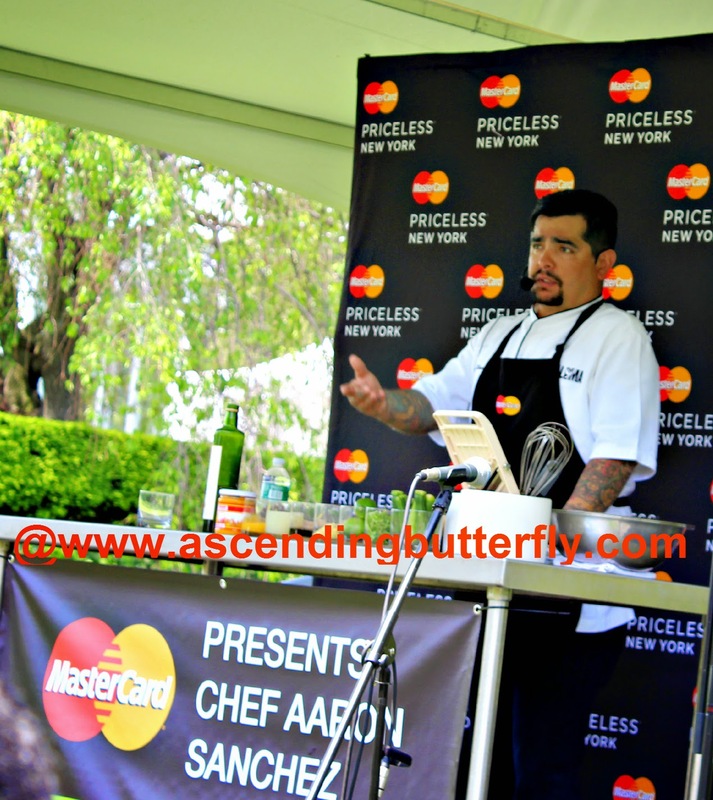 Amazing I love Chef Aaron Sanchez ,wish I had been there ! Looks like you had great time , great pic.. I 'll try his cookbook . I enjoy trying new recipes . Oh my gosh, what an experience! My favorite Mexican recipe?? I don't know if I can choose one. Right now, I'm loving me some homemade chimichangas though! I'm always amazed when watching chefs - totally wish I had culinary skills! Sounds like such a fun time! Looks like a really fun event... and lucky you to be able to attend and meet the Chef! Fabulous photos to remember it too! This is so cool! you are so lucky to be there! I'm Mexican, so I love every dish we have! and I like watching him on the food network channel. This looks like a lot of fun! That food looks good too. It looks like you guys had a great time. I need to spend some time with a chef! We love Aaron Sanchez and always enjoy watching him on television. His cookbook would make a great Father's Day gift for my husband too. That is such a cool thing to be able to do. I'm going to have to hit up his restaurant when I'm in Nola next month. Good food, good atmosphere and a handsome cook! Looks like you had a great time! I do love a man who cooks. I love most Mexican dishes, but I think my favorite is cheesy enchiladas! This looks like you had a lot fun. Thanks for sharing this with us. What a fun event. I would love something like this, especially with that delicious food involved. I love attending events like this! Looks like a great setup and fun! This looks like it was a really fun event! I love watching chefs in action! I'd love a little cooking inspiration! This looks like such a fun event to attend. We have a Mexican restaurant near us that is very authentic. I don't have to ever cook Mexican. I can go there. What a great event this was. I love Aaron as a chef! He seems so sweet! Looks like you had a blast! I love Mexican food so I would definitely love to be in attendance. This looks like it was a fantastic event. The food looks so delicious. Great pictures. Oh I am so jealous! 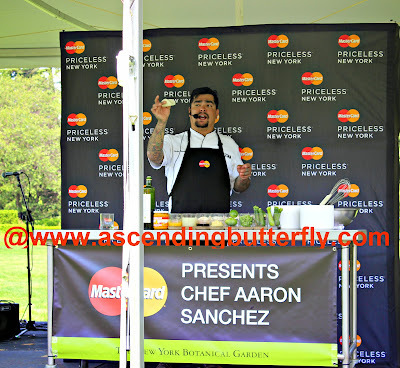 My and my husband love Aaron Sanchez, he's an awesome chef! We watch him on TV all the time! I really like Aaron Sanchez.His comments on The Best Thing I Ever Ate are hilarious. 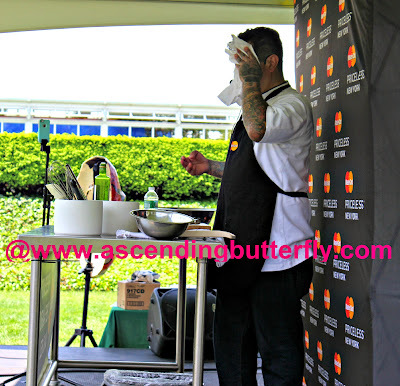 I am such a fangirl when it comes to Chef Aaron!! I would have loved to attend this! That sounds like such a fun event you got to attend! I love using my MasterCard. I love him on CHopped. He's honest and has good taste. OMG.. I love Chef Aaron. What a fantastic event! Tracy thanks for sharing such awesome pictures!